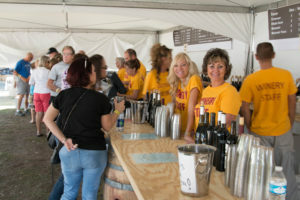 When Bill and Gretchen Loken took over the management of the Pahrump Valley Winery in 2003, they chose to continue the tradition of the fall grape stomp. This October tradition has been going on for 25 years and is fun for family and friends. 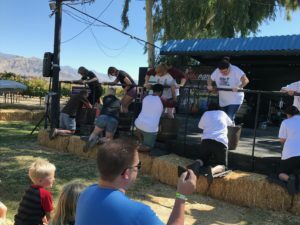 It gives participants the opportunity to get their feet gooey, their clothes sticky, and to burn off some excess energy by stomping real grapes amongst the cheers of the crowd. Some folks even come in costume to liven things up even more. People from all over Nevada and beyond come to our community to join in the fun. 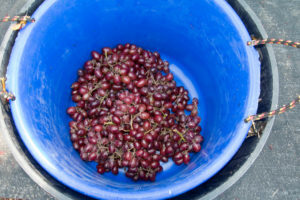 Teams of two compete to see who can produce the most grape juice in just two minutes…a very long two minutes! One member jumps in the barrel and stomps like crazy while her partner continues to push the grapes into position. Be careful not to crush your partner’s fingers instead of the grapes. You can swap places as long as only one person is in the barrel at a time. Anyone can try their hand…or should I say foot in this fun competition, but you must enter your team ahead of time to participate. The 168 team spots sell out fast so keep your eye out for the schedule. 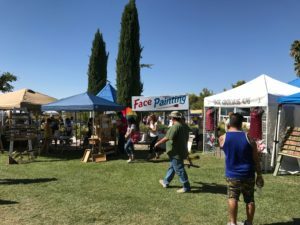 While folks are crushing away at the grapes, other attendees cheer for their favorite team while having a great time visiting the 30 various vendor displays offering local goods, crafts, and artwork. There’s also plenty of your favorite casual food from local businesses. Enjoy imbibing in some of Pahrump Valley Winery’s fine wine. 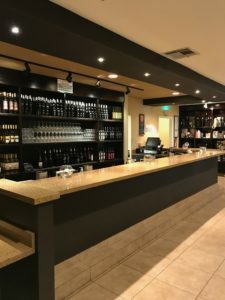 Sample a variety of white, blush, and red wines made from the three labels the winery produces under Pahrump Valley Winery, Charleston Peak, and Nevada Ridge. 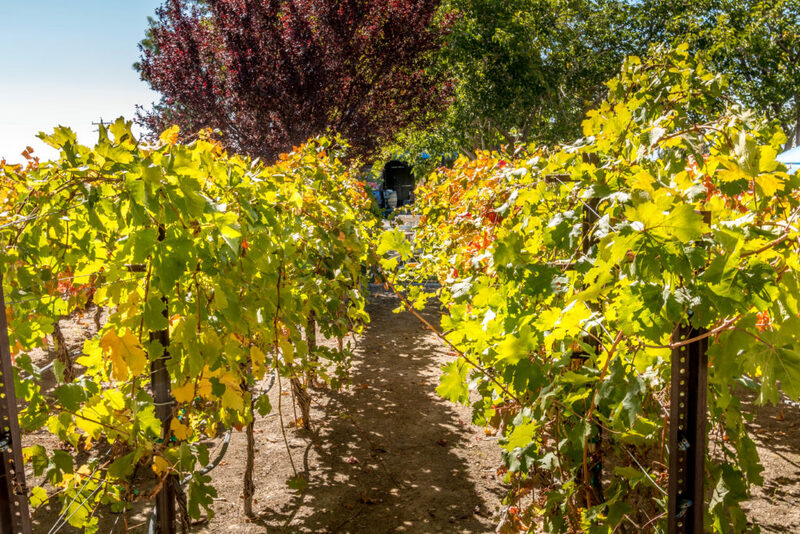 Enjoy the taste of wines from grapes grown in Nevada. Music from local groups is provided throughout the weekend, so if you feel like dancing, go for it, there’s plenty of room. 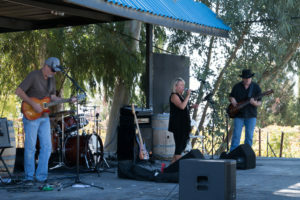 This event is held outside among the grapevines on the property of the winery. 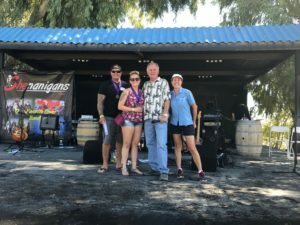 In addition to stomping, eating, and enjoying some wine, you can participate in a grape toss and have your photo taken looking like the stompers of yesteryear. 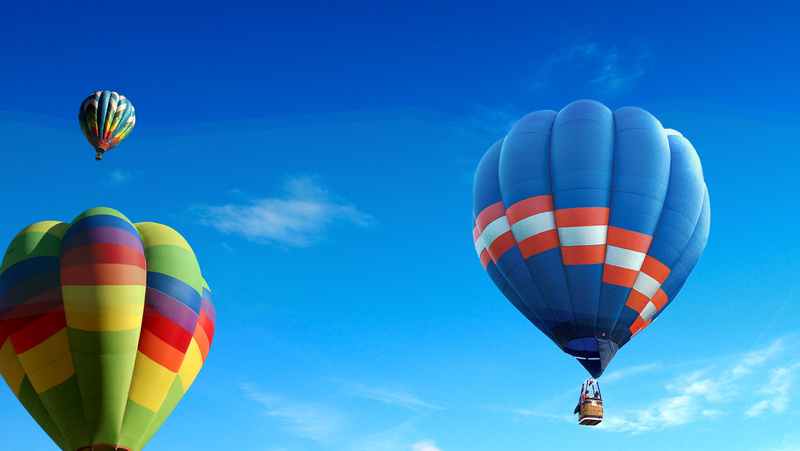 Try your luck and sign up for a drawing to win special prizes provided by the winery. Want to slow things down a little and enjoy a 5-star sit-down meal indoors during all of the excitement? The winery tasting room and dining room remain open for those who wish to celebrate the harvest indoors in a more formal atmosphere. The Lokens are your hosts for this two-day traditional event. You’ll see Gretchen running throughout the venue taking care of items needing attention and talking to the more than 2,000 guests who stop by to participate in the fun. She figures she gets in at least 10 miles a day. Bill is the MC for the stomp and encourages the stompers to keep going while he entertains the onlookers. And, you’ll be happy to know that although MC Bill suggests the resulting juice from the stomp becomes their “Toe Jam Red Wine,” it’s not really used for anything. Also, you don’t stomp in bare feet. Bring along a pair of ratty sneakers and some old clothes, all of which you can toss in the washing machine. Stompers of all ages are invited to give it a try. They’ve had people from ages 8 to 83 throughout the years. Each stomping team of two pays $50 to join in the fun. The juice is measured, and the team producing the highest amount wins. Winners receive prestigious bragging rights along with gift certificates, medals, and trophies. The entry fee for non-stompers to attend is $10 per person at the gate. The money raised at the event allows them to continue to donate to the many causes and activities they do annually in the Pahrump Valley and Las Vegas area. There have been many returning teams each season who try to better their previous year’s output of juice. Come try it yourself. If you don’t want to get gooey, stick around and cheer the others on. It’s an enjoyable day for all attendees and something the whole community embraces. Be sure to put this event on your itinerary while you’re in the Pahrump, NV area, just an hour from Vegas.